Getting people to the table would be the first matter of importance in resolving issues. Each side could get a shot at telling their version of the conflict. Pressure from Sam hasn't worked so far as neither Sam or Blindrodie have replied. Sam may be conflicted between his pal J. Gaar, who I think sold him someones old tow rig, and the slim chance that he has getting his mitts on a Millennium. Good thing I am patient and wasn't holding my breath. The US Hawks, in their official capacity, could extend the equivalent of a subpoena to any of it's members at the risk of sanctions imposed for refusal to cooperate. Jim Gaar is the only Hawk member involved in the ethical malfeasance that I am trying to expose. How the Hawks could get Lenny Smith or Doug Dubois to enter mediation, I don't know. Peer pressure is all I've got. Call them chicken if they don't respond. That's ok for now. I can start without them and a self selected peer review can analyze and add their comments. I've got nothing but public opinion expectations as this band of thieves could have avoided all this at the beginning if they had any intention of fair play, not to mention truth and justice. Lenny Smith, went to u$hga as a substitute Regional director, and levied some kind of 'sanction' charges against me after the gang of 4 stole my part ownership of the Dragonfly. He should be man enough to explain to all of us what that indictment was all about. If it was bad enough to take it to the u$hga then maybe the US Hawks needs to know the infraction. Perhaps my ratings should be pulled here too? The corporate borg failed to proceed on Lenny's request and I never got a chance to hear the complaint. I think Len Smith, should reveal his concerns here because whatever it was may still need to be addressed before I get back into the air. Right? Peer pressure is what I would like from the Hawks. Anyone can try and encourage their fellow pilots to come clean with this info. For all I know, everyone.. already knows what I don't know about these charges. They can speak up about what they know. Anyone? Everyone? I left hang gliding through a door of theft and damnable lies. To return to hang gliding I have to come back through that same door. Len Smith was substitute Regional Director for a while until u$hga decided Kansas City didn't deserve any representation. Not enough customers. a newbie Hang 2 Jim Gaar. The conspiracy was hatched by the incumbent Regional Director that had had enough of the good ol' boy club at u$hga. And so we did it. Jim never went to a board meeting, just as well, and the Executive canned him and appointed good ol' boy Lenny Smith. Then they just pulled the plug altogether on Region 6. Not enough customers. Hang gliding is rough for flyover country. Nothing much in the way of flying sites. Free wrote: Getting people to the table would be the first matter of importance in resolving issues. Yes. I agree. A big part of bringing people to the table is reassuring them that they're going to find a fair process and not a lynch mob. Free wrote: Peer pressure is what I would like from the Hawks. Yes. I agree with this as well. We would like to shine a light on problems and hope that the light leads to a solution. Free wrote: For all I know, everyone.. already knows what I don't know about these charges. They can speak up about what they know. Anyone? Everyone? I don't really know that much about it. Free wrote: I left hang gliding through a door of theft and damnable lies. To return to hang gliding I have to come back through that same door. This isn't necessarily true. There are many doors in life that can be open to you. But I do understand - and respect - the desire for justice. Please describe how you think the process would work, and maybe we can implement it. I don't know how your problem could be resolved here. I wish it could but I don't think it's realistic to get your hopes up. Comment #1 - The US Hawks has no pressure to bare on the other parties involved. Blindrodie won't become a member here (to discuss this issue) unless or until he has a change of heart. How likely do you think that is? Question #1 - When did the Dragonfly get stolen? Comment #2 - What confuses me is you imply it was yours but also that it was owned by a partnership? Well, if it was yours and you knew the people or persons who stole it, did you call the police? Comment #3 - If it was not solely yours then the manner in which the partnership was formed (any legal contracts, government forms, signed documents, etc.) can lead you to how to resolve the situation. That would be to file official complaints to an overseeing authority. If it was just a bunch of friends pooling their money, very informally, to buy the tow rig, then you've got a tougher problem. Comment #4 - Sometimes filing a civil law suit against a person is the best/only way to get a resolution. Oddly enough creating a civil (not criminal) complaint in Federal Court, and acting as your own lawyer, (which can cost only a couple hundred dollars, or if your very poor - nothing) is the best way to go. Why not State Court? Because they often make it very hard and complicated to proceed without a high cost lawyer. On the other hand, the Federal Courts have to allow for a person to proceed Pro Se (representing themselves). Paperwork to create the civil complaint can usually be found on the local Federal Court's web site - and downloaded from there. Besides the facts of the case, you'll need the proper name of the party your suing and the address where they are located. If you were to go this route, keep the description of the complaint as simple as possible. What you get if you win is probably only $, but perhaps the property could be returned - if you were in fact the sole owner. I would finish up by explaining my own personal story. Rochester Area Flyers (RAF) decided over a couple years time (2007-2008) that I was out to destroy hang gliding here in Central NY. However they were turning trivial problems into mountains and efforts of mine to permanently secure one launch site as an effort to have it permanently closed. Their perspective (as a u$hPa Chapter) was so distorted that I quit my membership. But RAF decided to go further and started harassing me on a different local club's forum site. My acting to defend myself drove the "list owner" to ban me from "his" forum. Combining all this together led me to complain to Paul Voight our Region 12 u$hPa director. Voight's involvement made things worse and completely ignored the local Chapters' violations of a number of u$hPa's SOPs. As a result, in 2013, I refused to renew my membership with the obviously incompetent u$hPa. Like your situation, all the parties to that situation are not going to come here to the US Hawks to discuss the issues - and make everything right in the world. They have no incentive because they think they hold the high ground. My issues are 5+ years old. And as a result, I haven't been able to fly any of the local sites since 2012. 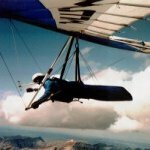 I LOVE hang gliding (started flying 43 years ago) and have been seriously damaged by the improper actions of two local u$hPa Chapters and the failure to resolve those issues by my local RD/USHPA. I have threatened to sue but still have not moved forward with that suit. That's on me. But as long as I don't feel comfortable flying local sites I am still incurring damage so I still have a legal case. I think my situation is, in some ways, similar to yours. Realistically, I don't think your problems will be fixed here on the Hawks just like I don't think mine will be. I see the US Hawks most important (political) goal as addressing and working to improve national scale problems with the state of the sport of hang gliding. It's also a growing community of hang glider pilots who've become disenchanted with the USHPA and their BIG focus on collapsible canopies and their occupants. Resolving possible issues between existing members here is surely something that could/should take place - but I'm not sure we've ever had such a problem come up. Here on the US Hawks we're not into picking fights with each other - as opposed to those other well known hang gliding forum sites. I hope my above comments help in some way. Fell free to respond. I don't know how your problem could be resolved here. I'm still holding my breath waiting for the "hang gliding crash." Since the opening picture in this thread is of a (crashed) powered ultralight, that doesn't seem to fit the title of the thread. But it does tend to catch the eye on a hang gliding web site. A better title would have been - "Is This My Stolen Dragonfly?". Perhaps Free can explain to us why he titled the thread ". . . Hang Gliding Crash". Don't hold your breath, Rick. There was a crash but it is being held a secret by thieves and liars. I'm just trying to find out what happened too so don't get cranky with me. All Cub yellow Dragonflys look alike w33. Tad Eareckson corrected us all on that particular one in the photo. I am sure there are photos of the Dragonfly I am interested in. Jim Gaar, Doug Dubois and Len Smith could help point us to those if they were not more interested in a coverup. Gaar is a member here. He should own up to this. Free wrote: . . . Gaar is a member here. He should own up to this. Do you know his user name? Because I don't remember a Blindrodie ever posting here. I'll say that back when I participated on Jack the Ax's web site (i.e., ego-ville) Blindrodie posted frequently. PS - Did you read my previous post about my idea of "better" ways to address your problems? Last edited by wingspan33 on Thu Mar 29, 2018 5:10 pm, edited 1 time in total. There has never been a Dragonfly in use to tow hang gliders that was an ultrallight. Every tow you took behind them, supposedly under a u$hga exemption was conducted illegally. u$hga surely knew this but in the interest of cash flow condoned and encouraged this illegal practice. The lawyer that runs the coverup of all things at u$hPa today knew, or should have known this, 20 plus years ago. Jim Gaar drove 11 hours to a Regional FAA facility to prove me wrong on this and got real flight parks shut down immediately . To this day he sells the story that he has 'worked closely' with the FAA and Sue Gardener on hang gliding matters. Jim Gaar's claim to fame should be that he has shut down more flight park flying than anyone else in the history of hang gliding.. as a Hang 2..